At Paint Inspection Ltd we pride ourselves on our highly qualified inspection team, but when it comes to a coating failure investigation it is much like the work of a detective and takes on a whole new perspective and experience to undertake this type of work. Our ICorr Level 3 and M ICorr team have many years experience and are able to carry out coating failure analysis on various applications and environments to suit your needs. As stated above failure investigation is much like the work of a detective, clues or relevant facts pertaining to the investigation must be gathered, analyzed, explored, and studied to make a knowledgeable determination. As in the case of a good detective, first hand field experience is of the utmost important. To investigate a failure, and analyze the conditions that promoted the failure, important information must be collected on the failed paint or coating. 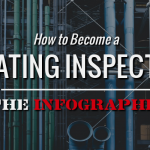 Background information on the coating type and application procedure, the service history and environment, and physical evidence of the failed coating are necessary to determine why, how, when, and where a failure may have occurred. If these answers are provided during the course of the investigation, future failures may be better understood or possibly prevented. The conditions that promoted the failure are essential in identifying the underlying factors that may have initiated the failure. Other elements that may not be readily acknowledged in failure analysis, yet are no less important, are common sense, a critical and unbiased mode of thinking, experience, knowledge, and experimental observation. If you have a coating failure and require an Independent Investigation and report then please contact us for a professional and expert approach to your failure problems.